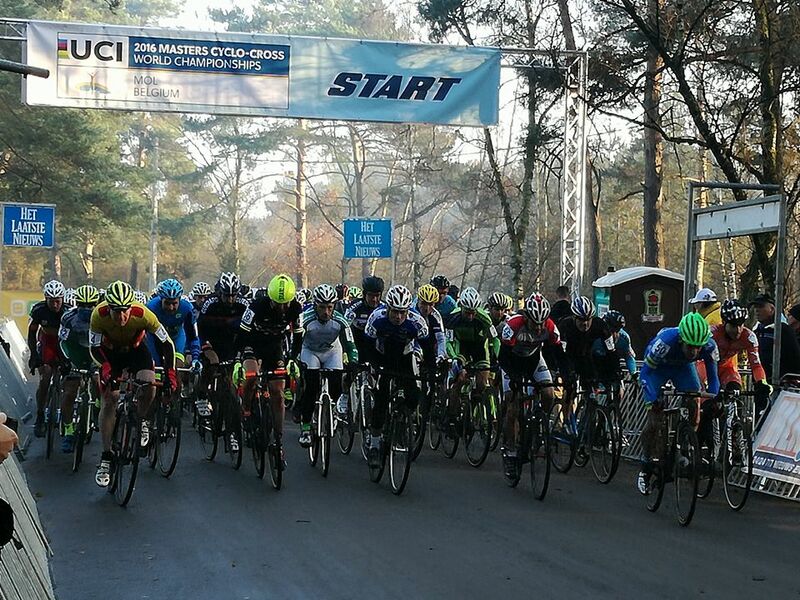 Bicycle Racing on a Budget: Bike and life goes on. Bike and life goes on. It's been a while but I feel it'll be good to blog again. So let's briefly update everything. New job in April working in Cestria Cycles in Chester le Street.... I'll cover stuff there in more detail. New race team.... Cestria Cycles RT, well it makes sense. 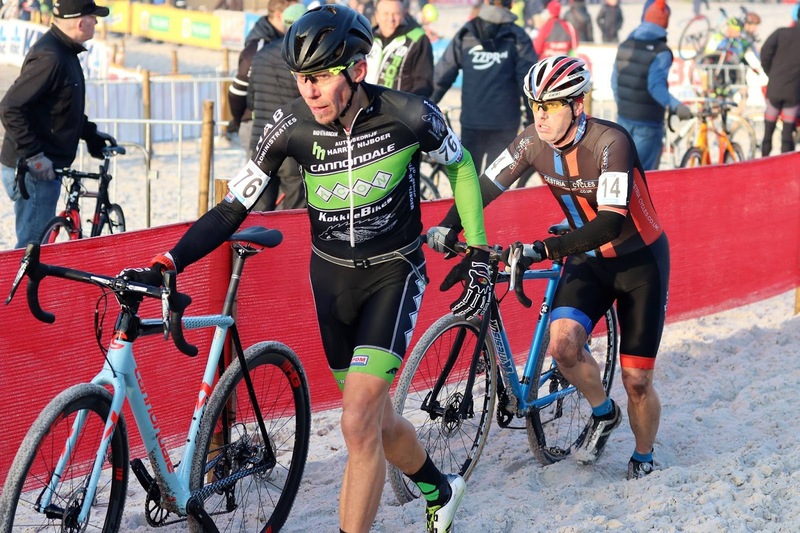 2016 season, few road races, no success, few mtb races no success, cross racing since August in the V50 aged related group, 3 wins locally, some decent placings in national events and 19th in the UCI world Masters champs in Belgium.... solid again. The World Masters was a great weekend and has been an ambition of mine for some time, so it was good to realise a long held dream. My form and fitness was not at it's best, again weight being an issue. 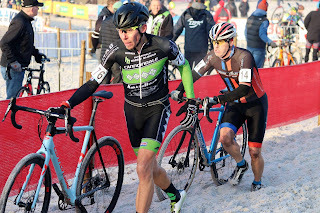 I rode/ran well from a good grid position and held my own. I only wish I could get rid of this lard.....?? 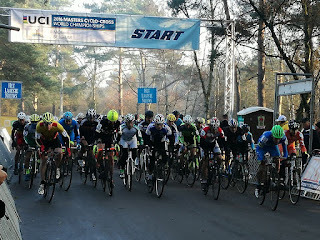 Start of the V50-55 race. I'm far right under the banner post. That'll do for now.... thanks.